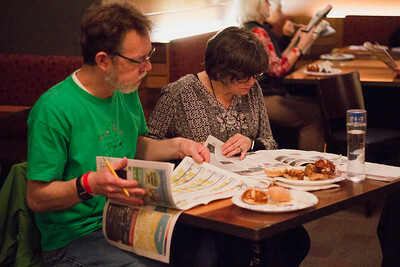 Our fourth annual First Look at the Fest, a fundraiser benefiting the Real Butter Fund, took place on Wednesday, March 7, 2018 from 7-10pm at AMC Madison 6. 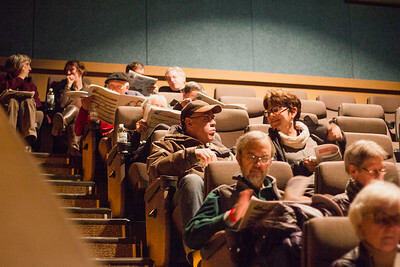 This event gave attendees the opportunity to peruse the 2018 Film Guide the night before it hit stands in the March 8th issue of Isthmus. 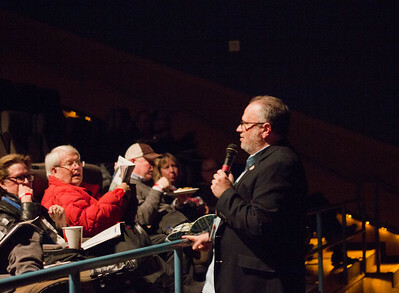 The 20th Annual Wisconsin Film Festival runs from April 5-12, 2018. 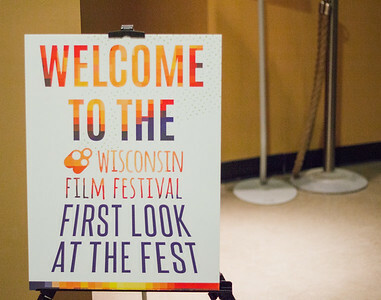 Highlights of the evening included a specially curated Wisconsin Film Festival trailer reel, hors d'oeuvres from Cafe Hollander and The Great Dane, plus sweet treats from Gail Ambrosius Chocolatier, and the chance to purchase tickets on site. 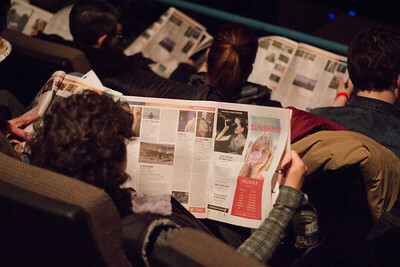 This event is made possible through support from AMC Independent and Isthmus. 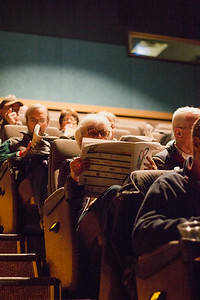 Proceeds benefit the Real Butter Fund, the Wisconsin Film Festival’s philanthropic fund held at the UW Foundation. 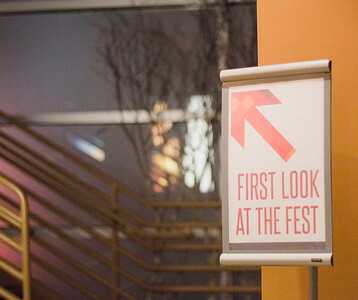 Colorful directional signage from the 2018 First Look at the Fest. 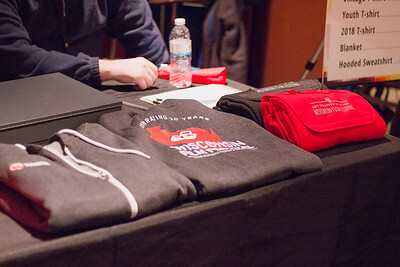 Sweatshirts and fleece blankets on sale during the 2018 First Look at the Fest. 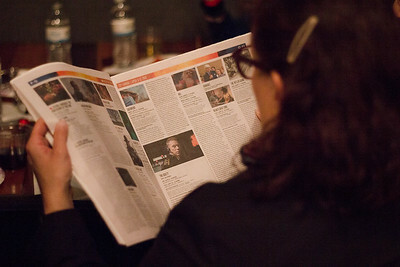 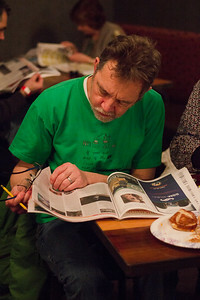 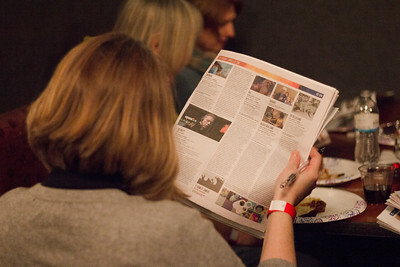 A Film Fest patron devours his Film Guide during the 2018 First Look at the Fest. 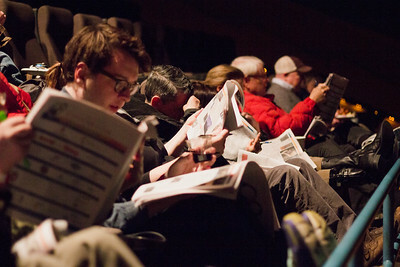 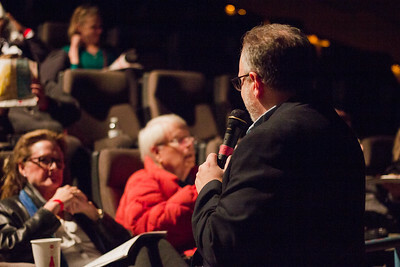 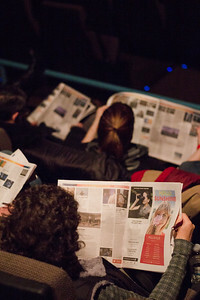 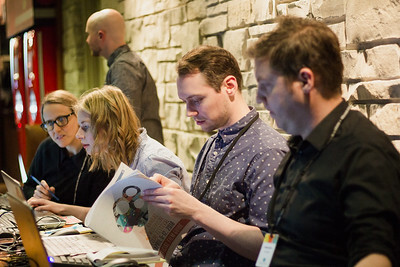 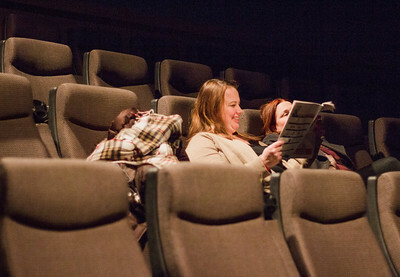 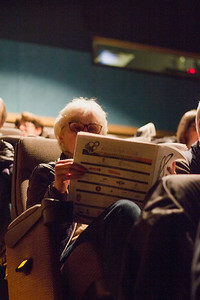 Film Fest patrons devour their Film Guides during the 2018 First Look at the Fest. 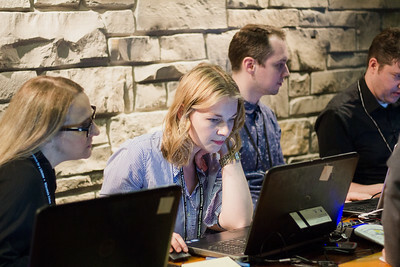 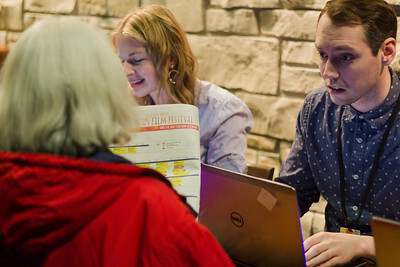 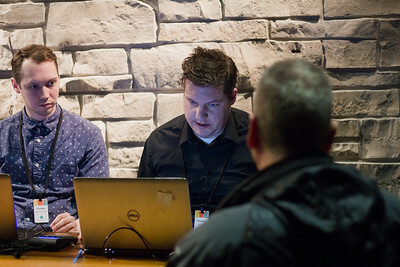 Box office staff assist Film Fest patrons during the 2018 First Look at the Fest. 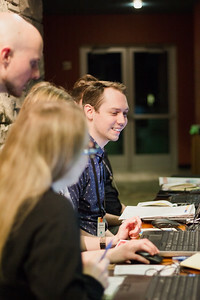 WFF Outreach & Community Engagement Manager Ben Reiser introduces the 2018 First Look at the Fest trailer reel. 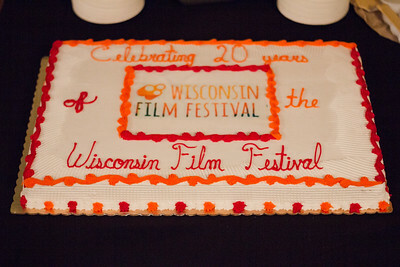 Treats at the 2018 First Look at the Fest included a cake celebrating 20 years of the Festival.